Hospice Atlanta brings home immense comfort and physical care for your loved one and extensive emotional care for all members of your family. We understand that grief is a very normal yet difficult process and everyone experiences it differently. That’s why we have such a wide range of support options for you. Camp STARS —A bereavement camp for families. Hospice Atlanta offers grief groups to anyone in the community on the 2nd and 4th Sundays of every month from 2:00-3:30PM at The Cathedral of St. Philip located at 2744 Peachtree Road Northwest in Atlanta, Georgia. The groups are open to those who have experienced the loss of a loved one and registration is not required. The location of the group is held in the Lanier House. After turning into the Cathedral from Peachtree Road, look for the building on the right in the parking lot that is facing the entrance to the Cathedral. There is a small sign located on the edge of the lot that shows the direction of the Lanier House. For questions and further information, please call (404) 869-3072 during business hours Monday through Friday. Our Bereavement Coordinators are available by phone for grief support and counseling during regular business hours Monday through Friday. Please call (404) 869-3000 and ask to speak with someone in the Bereavement Department. Grief can be lonely and personal, often speaking the loudest in the middle of the night. In the virtual library below, you’ll find the most helpful, most up-to-date grief and bereavement resources. The information is downloadable and free of charge. 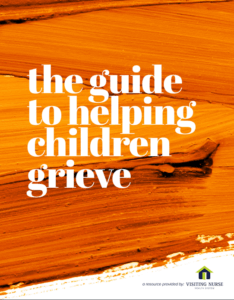 If you are bereaved and want information on how to help your grieving child, please take a look at this free resource: The Guide to Helping Children Grieve. If you’d like to better understand the grieving teen in your life, please take a look at this free resource: The Guide To Helping Teens Grieve. 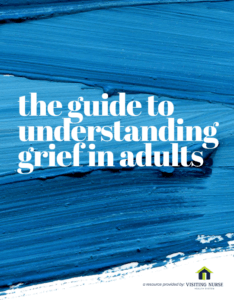 If you’re grieving or know someone who is, please look at The Guide To Understanding Grief in Adults. It’s a free resource provided for you! For more information about bereavement support at Hospice Atlanta, please email or call us at 404-869-3000.